Lava on 11 July, 2017 launched another budget smartphone called as the Lava A93. The phone has been officially launched with a price-tag of Rs 7,999 putting it in the same bracket as the Moto C, Redmi 4 and Infocus Turbo 5. The phone offers a dual-SIM support and will be running on the Android 6.0 and will have a 5.5 inch HD display. The phone will be powered by a 1.2 GHz quad-core processor along with 2GB of RAM. Inbuilt storage stands at 16 GB, but this is expandable via microSD card to 32 GB. In the power department the Lava A93 will be backed up by a 3000 mAh battery. 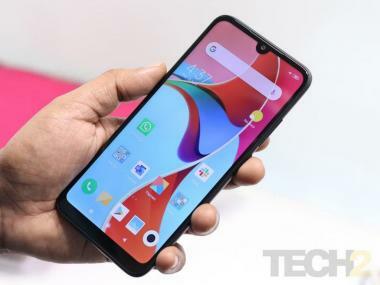 The smartphone features a camera module and a speaker grille on the back with antenna lines running along the top and bottom of the handset. The power button and volume controls can be found on the right side. The phone has 8 MP rear shooter and a 2 MP front facing camera with LED flash enabled on both the side. The 152 grams smartphone comes in 145x72.2x8.85mm dimensions. Connectivity options on the Lava A93 include a Wi-Fi 802, Bluetooth v4.0, USB 2.0and FM GPS. However, the phone will not be having 4G VoLTE support.